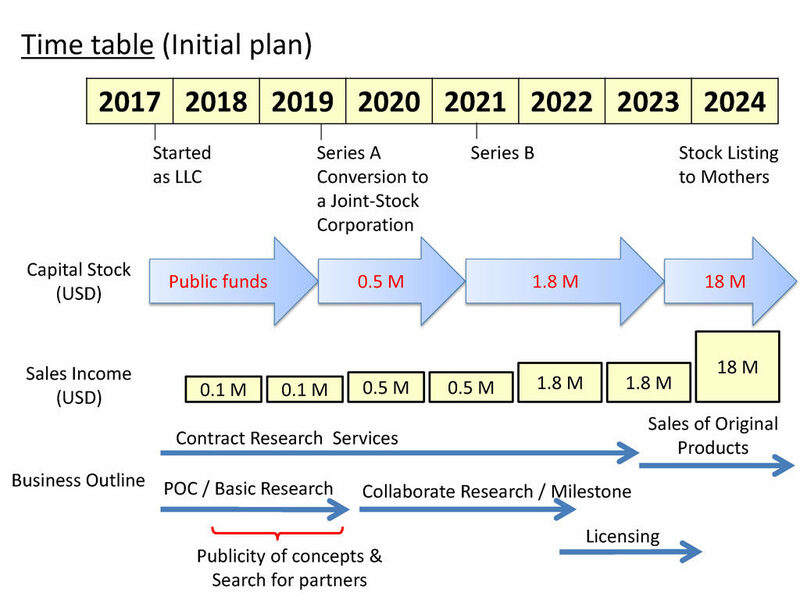 According to initial plan for conversion to a joint-stock corporation in 2019, we proceed to the stage for the clinical implementation of our technology. We appreciate your financing support that enable us to continue further research activity and secure employment of new staffs. As our products are to facilitate the drug delivery of mid-size drugs or larger pharmaceuticals, we also appreciate offers of research partnerships from pharmaceutical companies which are enthusiastic for the development of mid-size drugs.